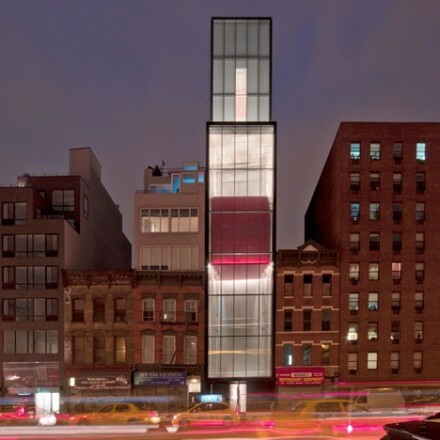 Exterior View of Sperone Westwater, 257 Bowery, NYC, image courtesy of Dezeen. Sperone Westwater opened the doors of its new gallery space on Wednesday, September 22nd, 2010. A retrospective of Guillermo Kuitca’s work was chosen as the Bowery location’s inaugural show. The gallery has a longstanding relationship with the Argentinean artist, whose work is inspired by the study of architecture, theater, and cartography. This is his eighth solo show at Sperone Westwater. “Guillermo Kuitca: Paintings 2008-2010 & Le Sacre 1992” consists of recent paintings, which developed from his famous 2007 series with which he represented Argentina at the Venice Biennale, and the important 1992 installation Le Sacre. Sperone Westwater announced plans to build an eight-story building of the gallery’s own at 257 Bowery back in 2008, at a bleak moment in the American recession. Many were shocked by this decision, due to both the economic climate and the widely-held belief that the Lower East Side was far removed from the thriving Chelsea gallery scene of Sperone Westwater’s prior location. 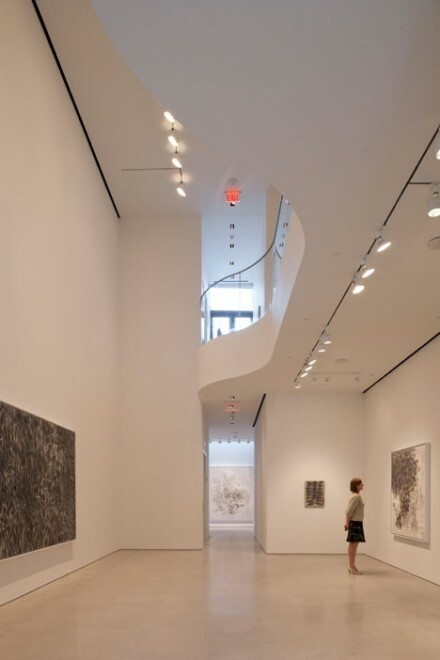 At the time of the announcement, the Lower East Side was still considered to be an emerging area for the fine arts, apart from the recently-opened New Museum and a few smaller galleries, leading to doubt that the Sperone Westwater gallery would ever be realized. Today, Sperone Westwater’s new location participates in the area’s reinvention as a thriving center for the arts, with a more relaxed and less homogenized identity than Chelsea. 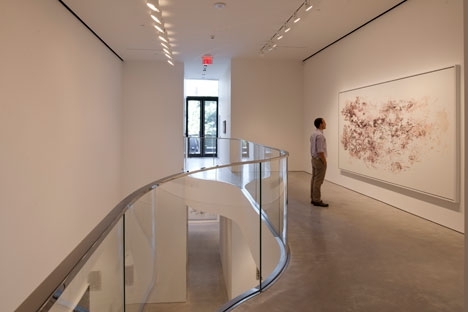 Sperone Westwater, Ground Floor, image courtesy of Deezen. A work of art in itself, the gallery’s new space was designed by Foster & Partners. Located between two shorter buildings, the tall, narrow structure measures twenty-five feet wide by one hundred feet deep. The buildings façade is made entirely of glass, framed by black I-Beams and corrugated metal, possessing a certain a utilitarian quality. The structure’s most remarkable feature is the large red elevator, otherwise known as the gallery’s “Moving Room,” visible from the gallery’s exterior. An additional elevator and two staircases provide access to the upper levels of the space. 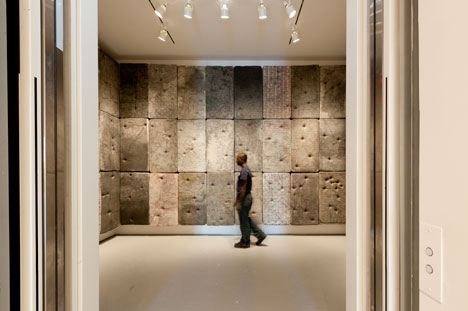 The twelve- by- twenty foot “Moving Room” will be used as a mobile gallery space in which viewers may contemplate and then revisit work while traveling through the gallery. This room can also be set to remain fixed on the second or third floor, in order to provide an extension for those gallery rooms. Situated inside the gallery’s façade, the design acoustically insulates the space, in addition to protecting the gallery from extreme temperatures and lighting which affect the conservation of the works within. Sperone Westwater, “Moving Room,” Exhibiting Guillermo Kuitca’s Le Sacre, 1992, image courtesy of Deezen. Foster & Partners’ design incorporates a sky-lit ground floor space with twenty-seven foot high ceilings, roughly two stories, making the second floor a mezzanine level. Also on the second floor is a sculpture terrace overlooking a park. On the fourth and fifth floors are private viewing galleries. A recess in the gallery’s façade houses the Sperone Weswater offices on the sixth floor, just below their library. Sperone Westwater, Mezzanine Level, image courtesy of Deezen. The Guillermo Kuitca show brings the complexities of art’s relationship to architecture in this venue to the forefront. The massive amounts of white space around Kuitca’s paintings downplays the visual statement of the installation. Kuitca’s paintings are so intricate, however, that they fully engage the viewer on an immediate and intimate level. The works on view vary significantly in scale. Kuitca explored different sizes to express the dramatic change in display spaces in the last few years. 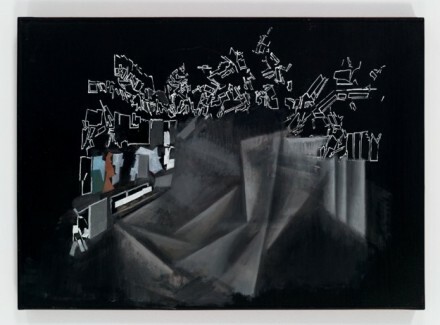 The 2007 series that inspired this work was a group of abstract, melancholic representations of world-renowned theaters and opera houses during periods of demise. While the structures in these paintings varied, the mood remains consistent. In his more recent work, Kuitca’s paintings are increasingly energetic, combining certain compositional motifs that he has explored in the past with his familiar abstract technique. In some pieces the artist also incorporates collage. As one moves upward in the gallery space, the paintings posses a brighter palette and a less controlled brushwork. Guillermo Kuitca, Untitled, 2009, Oil on Linen, 50 x 70 com, image courtesy of Sperone Westwater. 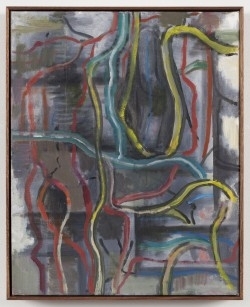 Guillermo Kuitca, Untitled, 2010, Oil on Linen, 30 x 24 cm, image courtesy of Sperone Westwater. In addition to Kuitca’s newest work, Sperone Westwater is also exhibiting the artist’s 1992 Le Sacre, a work which marks an important turning point in Kuitca’s career. 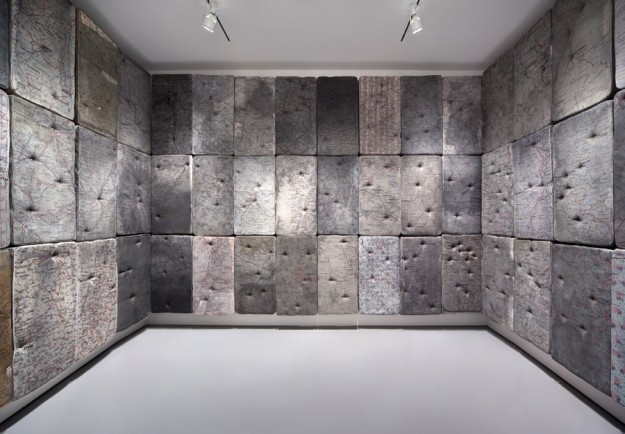 It is comprised of maps painted on fifty-four child-sized mattresses, installed vertically, covering the walls of the gallery’s “Moving Room.” This is the first time since the work’s creation that Kuitca has had the opportunity to display it in his originally-intended design. Prior to this show, the mattresses had been exhibited parallel to the ground on bed legs. The way that the maps are painted onto the cloth makes the buttons in the mattresses seem like city markers. The “Moving Room” travels slowly from the second to the third floor and back again, giving viewers the opportunity for immersion into the subtleties of this work. Kuitca believes Le Sacre expresses an instance where the private and the public experience collide. Guillermo Kuitca, Le Sacre, 1992, Acrylic on Matress with Wood and Bronze Legs, 54 Beds, installed in the “Moving Room,” image courtesy of Sperone Westwater. Guillermo Kuitca was born in Buenos Aires, Argentina in 1961, where he currently lives and works. By 1985 he was well known in his home country, representing Argentina at the XVIII Sao Paulo Biennale. He first gained international recognition when he was selected for the 1991 show “Projects” at the MoMa in NYC. This same year, Kuitca founded the Studio Program for the Visual Arts in Buenos Aires, where approximately one hundred young artists have now studied. Since this time he has exhibited widely throughout the world, and is represented by Sperone Westwater, New York and Hauser & Wirth, Zurich. 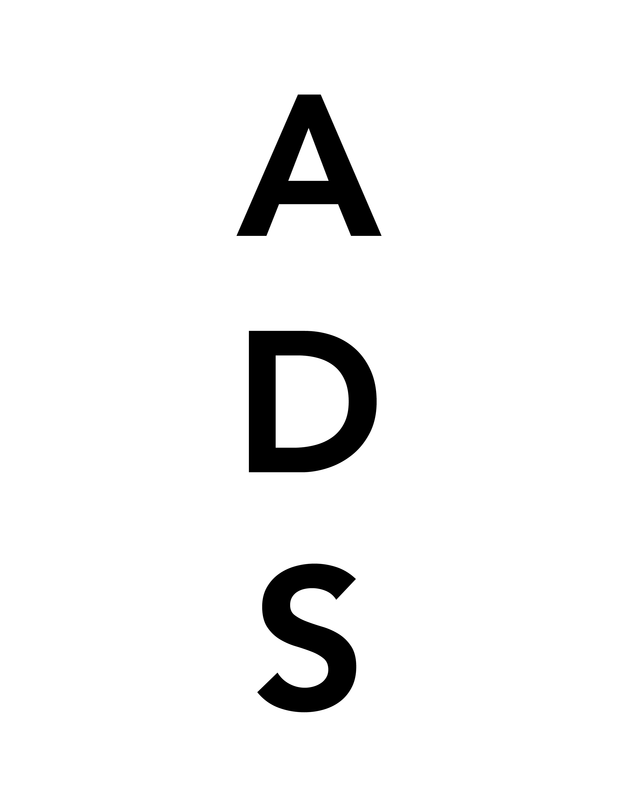 This entry was posted on Tuesday, October 5th, 2010 at 1:42 pm	and is filed under Art News. You can follow any responses to this entry through the RSS 2.0 feed. You can leave a response, or trackback from your own site. Fantastic exhibition space. Congratualtions SW.
Love this gallery and am very proud of my friend Michael Wurzel who designed it at Foster and Partners.